“Our intention to go to Afrin is to clear this area from PYD-YPG and Daesh. 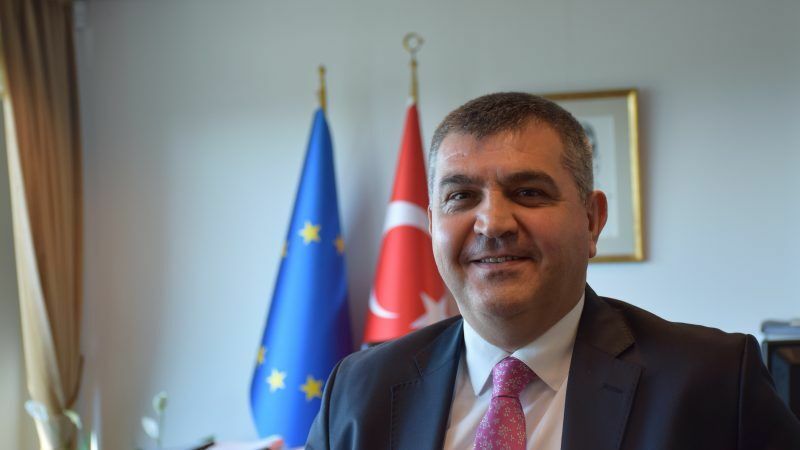 We want to make these areas stable and secure so that Afrin people, who are already in Turkey [350,000], can go back to their homes,” Turkey’s ambassador to the EU, Faruk Kaymakcı, told EURACTIV in an exclusive interview. 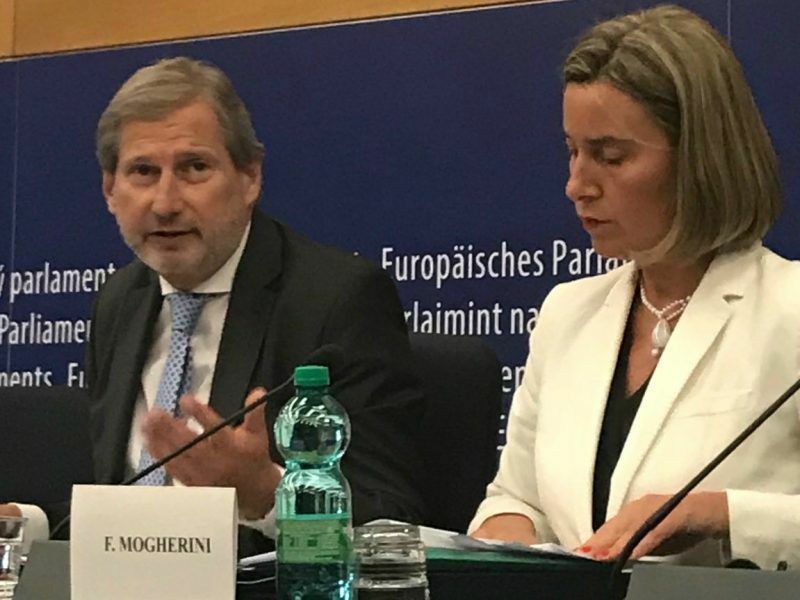 He also said the European Commission was unfair to Turkey in its latest progress report by favouring the Balkan candidates, ignoring Turkey’s difficulties and failing to provide a clearer accession perspective for Ankara. Faruk Kaymakcı is the Permanent Delegate Ambassador of the Republic of Turkey to the European Union. Turkey has no eye on Afrin after it has been cleared of PYD- YPG and Daesh and stabilised, the region will be left to its local owners. The European Commission published its progress report on Turkey this week and pointed out a number of shortcomings. Why doesn’t the Commission see progress in democratic reforms? As you might already know, now we call them country reports. These reports, of course, analyse the candidate countries in the face of the EU acquis. It is natural that there are some shortcomings and some progress in different areas. Unfortunately, the period the report is referring to is one of the most difficult in Turkey’s history. We had the 15 July FETÖ coup attempt, which threatened Turkey’s democracy, institutions and as a result, we had to declare a state of emergency and take some extraordinary measures. [FETÖ is a name the Turkish government use for an alleged Gülenist terrorist group.] At the same time, Turkey is fighting three notorious organisations, such as Daesh, PKK, PYD-YPG, as well as FETÖ terrorist organisation. When you fight three terrorist organisations, you cannot do everything normally. This is also what happened in France after the terrorist attacks. Of course, I don’t underestimate these attacks, but imagine the situation in Turkey, which has to deal with a PKK terrorist organisation that claimed more than 40,000 lives. Daesh destroyed some parts of two countries, Syria and Iraq, and FETÖ caused 250 deaths and more than 200 people were injured overnight. Also, Turkey is hosting more than 4 million people, mostly from Syria, Iraq, Iran, Afghanistan, Bangladesh etc. We have spent more than €30 billion so far. On the other hand, we see in Europe the rise of the far-right, populism and scapegoating of Turkey is some of the national elections. The report refers to some shortcomings in different fields but also to some good cooperation and progress in other fields and accession chapters. The second thing is that the problems that Turkey faces have not been sufficiently understood by the EU side. Because the Fethullahist Terrorist Organisation or FETÖ is a major threat to Turkey, and the PYD/YPG, PKK’s Syrian branch has attacked Turkey more than 700 times. These should be understood clearly. We also have to take into account the conflicts around Turkey. The report should also give a clearer perspective of accession. If the EU is not acting as a real anchor, EU cannot expect any of the candidate countries to be a credible candidate. This is the dilemma of the EU. Why is this given clearly to those six countries in the Balkans and not clearly given to Turkey, although Turkey is also a negotiating candidate? The more EU will become an anchor, the more willing and faster Turkey will become in terms of reforms and aligning itself with the EU acquis. Another unfair part of the report is related to bilateral relations. Of course, we need to have normal relations with each member state, this is natural. But using this report or an EU institution as a leverage tool against a candidate country in the name of EU membership solidarity regardless whether the concerned member state is right or wrong is not helping. I mean Greece and the Greek-Cypriot Administration. This is creating more tension and it makes the problem more complicated. Talking about Greece, there has been an escalation in the rhetoric and incidents in the Aegean Sea. Why do we have these incidents? Because they are caused by our Greek-Cypriot and Greek neighbours. Of course, some try to portray Turkey as an aggressive country but what is the point of putting flowers on a rock, on a small islet in the Aegean Sea? Why do we need that? What is the point of putting a Greek flag on an island where there is no one? And what is the point of flying over these small islets and rocks, which are not even inhabited? These actions will not satisfy any claim of sovereignty but just cause provocations. Greece says this is its territory. Turkey says the same. So how can you claim that this is your sovereignty? It might be Turkish or Greek, but the delimitation has not been made between Greece and Turkey. Until the delimitation is agreed by the interested parties, no one can claim any territory or territorial waters in disputed areas. What we are saying is that these islets, whose status is not defined by international or bilateral agreements, cannot be claimed by any side. So until we solve these problems why are we provoking all these things? Flowers, flags or even picnics on these islets are provocations and we don’t want these, especially after the visit of President Erdogan to Greece after 65 years. And why are these happening now? Let’s hope that these provocations will stop and I think these islets and rocks will become an area of cooperation and not a source of conflict. 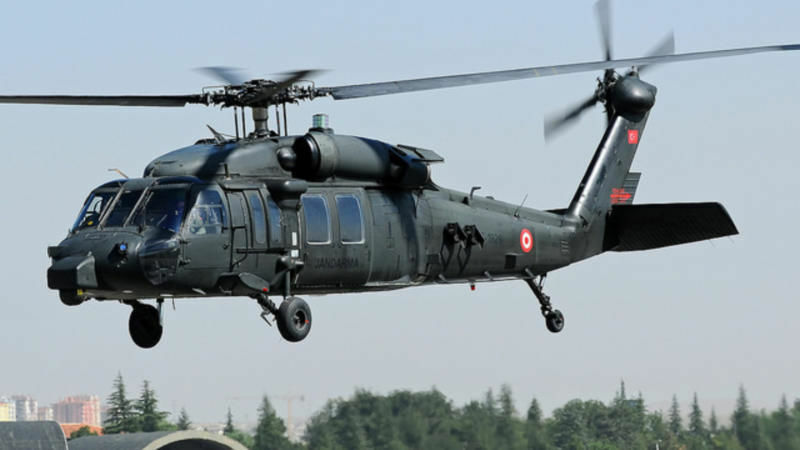 Turkish aeroplanes and helicopters illegally entered Greece’s airspace 141 times yesterday (15 May), the Hellenic National Defence General Staff reported. 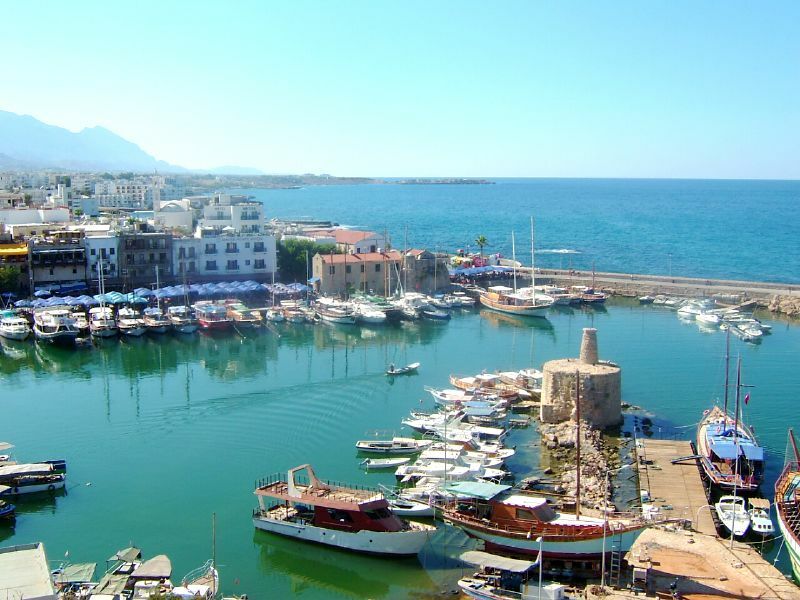 In terms of the Greek-Cypriot administration and the hydrocarbon activities around the island of Cyprus, they can do whatever they like in their own exclusive economic zone. But again, the delimitation is not done, so there are issues between the Greek Cypriot Administration and Turkey, as well as with Turkish-Cypriots. They claim some areas belong to them although the delimitation is not done yet. There are also areas, which are under the sovereignty of Turkish-Cypriots. Until the Greek-Cypriots agree with the Turkish Cypriots in these areas, Greek Cypriots cannot do anything. Five years ago, within the UN system, Turkey and Turkish Cypriots proposed that we should create a joint committee on hydrocarbon activities and this committee should decide together until there is a final solution to the Cyprus issue. The income generated out of these drills would be distributed to the people of the island. But the Greek-Cypriot side rejected this and now they are offering some lucrative incentives to some companies and they come to explore oil and gas. This is a problem. So, you are saying that you will block these drillings. Turkey will not allow any illegal activity in its exclusive economic zone. The same thing applies for the Turkish-Cypriots. We will stand by them. The US has warned Turkey with sanctions if it purchases the Russian S-400 missile system. Do you believe this purchase is in line with the NATO commitments? It’s not a question of being in line. The question is that we have been abandoned by some of our NATO allies. When we needed NATO at our most difficult times, some of our NATO allies did not support us. I am referring to the war in Syria and the developments in Iraq. Missiles and rockets have been fired at us from Syria and we needed the air-defense capability and we asked our NATO allies to support us. Some of them did it, but unfortunately, the US did not support us and we had to take care of our own air defense. Actually, we first went to our NATO allies, but the US said no. Then we went to China and as a last resort, we tried Russia. We were forced by our allies to find an alternative. The border we are protecting is not only Turkey’s border, but it’s Europe’s and NATO’s border. Unfortunately, our allies do not realize how important this is. The Greek Cypriots wanted to buy the S-300 missiles and put them on the island of Cyprus. Don’t forget that Greece has already these S-300 missiles. Are they compatible with NATO? You should also check with them. Do you feel that Russia, politically and diplomatically speaking, is currently closer to your interests than Europe and the US? Turkey is a member of the West and Europe. For the time being, unfortunately, our allies in the West are not trying to understand and support us sufficiently. We have to protect our own interest and we also have to be realistic: whether we like it or not, Russia and Iran are important actors in Syria. Iran is an important actor in Iraq and you have to work with them. We cannot work with our own allies in Syria while the US is supporting PYD-YPG, although they know it’s a Syrian branch of PKK, something the former US Defence Secretary and the CIA fact-book officially recognise. What do you expect us to do? What are the plans for Afrin? Do you plan to remain there for a long time? Turkey has no eye on another country’s, territory. I can clearly say that our intention to go to Afrin is to clear this area from PYD-YPG and Daesh. We want to make these areas stable and secure so that Afrin people, who are already in Turkey [350,000], can go back to their homes. Turkey is planning to give the control of these areas to the local owners. We have no intention to rule others’ countries. Did you discuss this with the EU partners at the recent Varna summit? 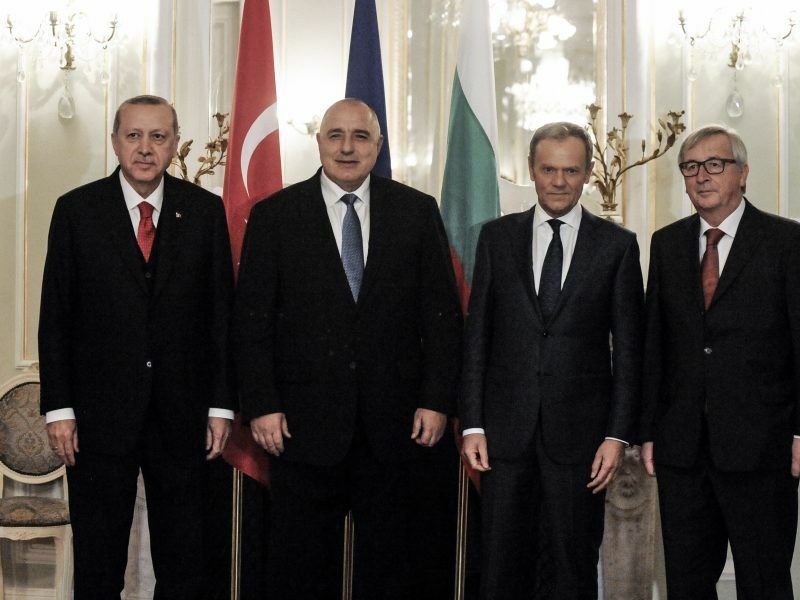 The Varna summit held on Monday (26 March) between EU institution leaders and Turkish President Recep Tayyip Erdoğan failed to yield any notable outcomes. But Bulgaria’s PM said the port city could become a permanent venue for future talks. President Erdoğan explained the aims of the Operation Olive Branch in Afrin and we told the EU side that Turkey and the EU should also cooperate in Syria in terms of helping Syrians to go back to their homes, but of course, when the conditions are appropriate and when they wish to go. Does Turkey count on the EU financial support, the second €3 billion tranche to transfer these Syrians back to their homes? First, the EU should approve the second €3 billion. Out of the first €3 billion, despite being entirely contracted, only €1.9 billion has been spent. EU and Turkey are discussing how the second €3 billion tranche could be spent in the most efficient way for Syrians. The European Parliament and the EU Council have urged Turkey to release the two Greek soldiers. EPP’s Manfred Weber even called these people “political prisoners” that Ankara is using – also the German journalists- to put pressure on the EU on other issues. Will you return these people? We have to respect the rule of law in Turkey and the decision of the court. There is a violation of the border, willingly or unwillingly, by these two soldiers with military functions. The court is dealing with this issue, full stop. We should wait for the court decision. But if the EU continues to politicise the issue, it would be wrong. Leave justice to the court. Full stop. Yes, okay, but for more than one month now we still don’t know the charges. I’m not aware of every single detail of the court case, but leave it to the court. As I told you, Turkey is getting through difficult times, after the 15 July FETÖ coup attempt many cases have taken more time than we expected, not only about these two soldiers. We have been also criticised for some other cases where the charges against suspects were not made as quickly as it should have been made. But again, the more the EU politicizes, the more tensions are created and this is not the right way. It’s a big loss in term of EU’s credibility to get involve itself in a judicial case. It’s wrong for any institution to get involved in a judicial case. So, this is not connected with the 8 Turkish soldiers who fled to Greece? I said what I wanted to say above. Who fought in Afrin? Some press reports suggested that in the ranks of the Free Syrian Army there were former fighters of ISIS or Al-Qaeda. This is totally wrong. We trained the Free Syrian Army together with some of our NATO allies in Turkey. So we know who the Free Syrian Army is, who Al-Qaeda or Daesh is. This is a campaign to discredit the Afrin operation. We have seen much fake news regarding the Afrin operation. Mr Erdoğan has said Turkey will chase Gülenists wherever they are. There were also reports suggesting kidnapping people in Kosovo. Turkish President Recep Tayyip Erdogan said on Monday (9 April) his country is determined to continue the fight against what he calls the terrorist movement of Fethullah Gülen and bring home all “traitors” from abroad. Yes, but happened in Kosovo? We asked the Kosovo authorities to extradite them, that’s it. So, this was in cooperation with the Kosovo government. Of course, with Kosovo authorities. Do you trust the EU governments to help you with this? I think the EU has started understanding better what the FETÖ members really are. Some of our EU colleagues thought that FETÖ is a charity organisation. Now they realise that FETÖ has turned into a criminal network and even a terrorist organisation which attempted a coup against the government and democracy. Even in the Commission report on Turkey, there are references to FETÖ as well as PYD-YPG terrorist organizations in the section about counter-terrorism. The Commission report also emphasised that you have prolonged the state of emergency period too long. Yes, the Government sees it necessary and the prolongation is a decision of the government. We lost 250 people overnight due to FETÖ and 2,000 have been seriously injured. Not to mention all damages to our several institutions and system. FETÖ is not a simple network but an investment for over 40 years now. They have been infiltrating everywhere, in different ministries, police, judiciary and politics as well. Do you believe there is external support from other countries to these people? Yes of course, they can still operate in Brussels, in the US and in some countries under the disguise of schools, think tanks, newspapers etc. So you are saying that there are in Brussels too. Yes, in the European Parliament, they are trying to lobby, it’s also the same thing in the US and London. There are 5 categories: plotters, criminals, immorals, forced people or those who did not know how they got involved as well as the innocent believers. It’s not easy to make a distinction among the five. Inquiry Commission and Ministerial Boards are meticulously working on individual cases. When we asked to extradite some of them, some countries said they were not really criminals or were not involved in the coup directly and they hesitate. Even with the companies that they have, they are financing this FETÖ network. The problem is that some countries look at these people like NGOs or journalists. The transcript of the interview has been approved by the Permanent Delegation of Turkey to the European Union. Turkish propaganda against the Kurdish ethnicity is outrageous, and a function of Turkey’s ongoing genocide in Kurdistan. PYD is a political party of Syrians, in Syria. PKK is a political movement of Kurds, in Turkey. They are not the same thing, despite the Turkish government’s never ending policy of lies against them. YPG is a volunteer self-defence militia of Syrians, in Syria. 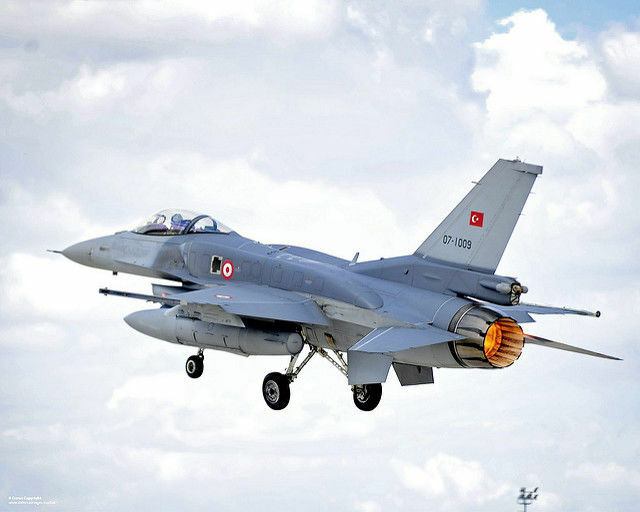 It was set up to protect northern Syria from attack by ISIS and Turkish jihadis. The Lie: ““Our intention to go to Afrin is to clear this area from PYD-YPG and Daesh. We want to make these areas stable and secure so that Afrin people … can go back to their homes”. The Truth: There has never been any Daesh in Afrin, which until Turkey’s invasion, was one of the safest cities in Syria. There are Daesh there now however, who came with the Turkish army (many brigades of the Turkish army are commanded by ISIS fighters). The people of Afrin (those not raped or murdered by the Turks) have fled, and Turkey is currently replacing them with the families of ISIS and al Qaeda fighters from Idlib, bussed in by the Turks to ethnically cleanse the residents. “Turkey has no eye on Afrin after it has been cleared” – yet according to President Erdogan, Turkey has claimed Afrin as a part of Turkey. “the region will be left to its local owners” – the local owners have been killed or fled. Turkey blames everyone for its crimes, it’s how turkey operates. Turkey is a terrorist state. PKK? They’re the heroes who smashed ISIS and rescued the Yazidis. They represent the most democratic social movement in human history. Long live PKK.